It is the first year of Germany’s occupation of France. Allied officer Lt. Aldo Raine (Brad Pitt) assembles a team of Jewish soldiers to commit violent acts of retribution against the Nazis, including the taking of their scalps. 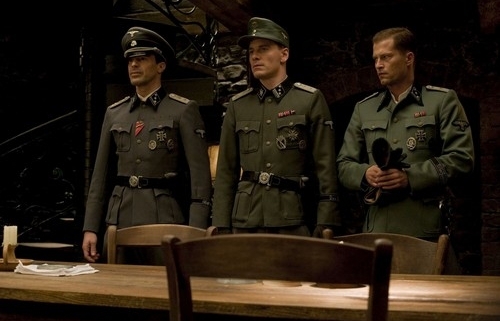 He and his men join forces with Bridget von Hammersmark, a German actress and undercover agent, to bring down the leaders of the Third Reich. Their fates converge with theatre owner Shosanna Dreyfus, who seeks to avenge the Nazis’ execution of her family.